Enjoy convenient hotel pick up and drop off services within the city! 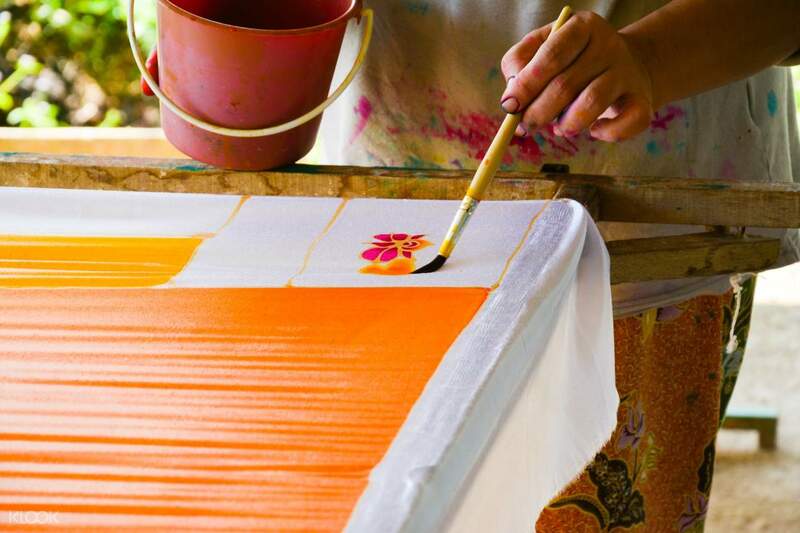 Experience Bali's fascinating batik techniques in a short course that will take you through the entire process of the wax resist art. 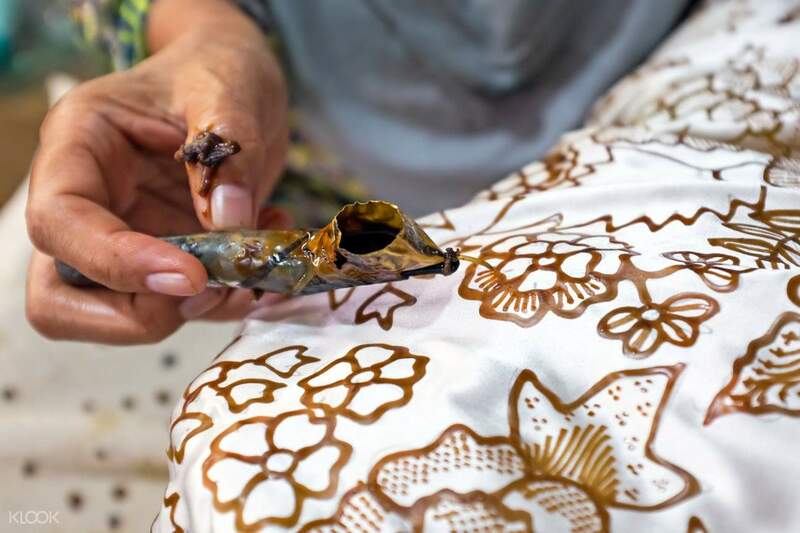 Throughout the class, you will learn all about Indonesia's genuine cultural heritage as your local instructor introduces deep Javanese philosophies behind some of the most common batik patterns. Bust out your artistic side as you apply hot wax to your fabric, creating your own unique design as you go along, then dye your creation to a color of your liking. 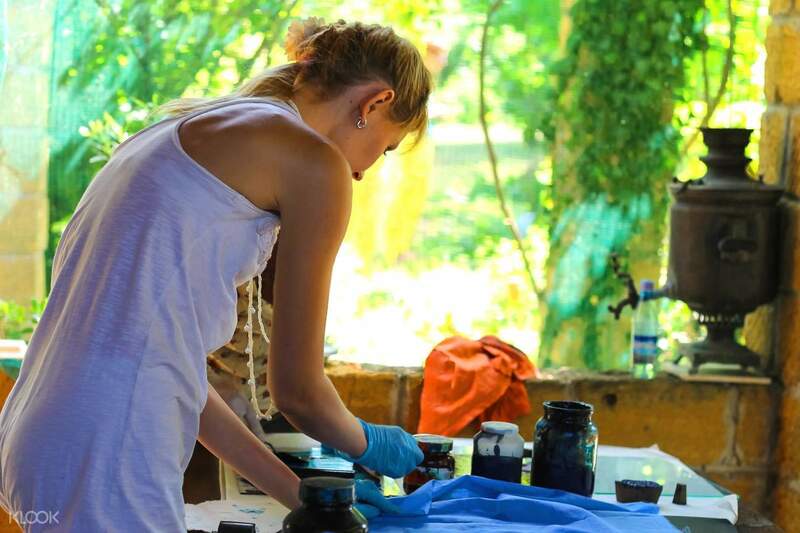 Once the class has finished, you'll be ready to take home your very own batik masterpiece! Plus, you can enjoy convenient transfers to and from the workshop venue so you won't have to worry about the hassle of commuting to where you need to be. Kudos to the provider: they went ahead with the class despite there being only 1 participant (myself). The journey to and from my hotel took 2 hours: I was staying in Sheraton seminyak whereas the batik village is in denpasar. The class itself was an hour. I could only do a simple piece of single colour, because it takes a day to process a colour before other colours can be added (if you want to do more colours). Hence, the class is useful only for participants to appreciate the basics of this traditional art, rather than to do complicated pieces. Overall, a good experience at exceptional value! Kudos to the provider: they went ahead with the class despite there being only 1 participant (myself). The journey to and from my hotel took 2 hours: I was staying in Sheraton seminyak whereas the batik village is in denpasar. The class itself was an hour. I could only do a simple piece of single colour, because it takes a day to process a colour before other colours can be added (if you want to do more colours). Hence, the class is useful only for participants to appreciate the basics of this traditional art, rather than to do complicated pieces. Overall, a good experience at exceptional value! Took this class to learn more about their culture and explore another art medium. I had so much fun being able to create something from start to finish. It was done in a reasonable time and is friendly for any creative! Took this class to learn more about their culture and explore another art medium. I had so much fun being able to create something from start to finish. It was done in a reasonable time and is friendly for any creative! I would highly recommend the Batik Class to anyone (artistic or not)! The instructor did a really good job of explaining the process, was patient, and helpful when needed. Also, there's a great little shop where you can purchase goods. I would highly recommend the Batik Class to anyone (artistic or not)! The instructor did a really good job of explaining the process, was patient, and helpful when needed. Also, there's a great little shop where you can purchase goods. The driver was punctual in picking us up from our hotel. When we arrived, there was also welcome drinks for us while we embarked on our batik prints. The guide was helpful and patient while we clumsily completed our designs. She also explained the various processes of batik printing to us in detail. We also received certificates of completion once we ended the workshop 😂 would definitely recommend to those who enjoys the process of art making! The driver was punctual in picking us up from our hotel. When we arrived, there was also welcome drinks for us while we embarked on our batik prints. The guide was helpful and patient while we clumsily completed our designs. She also explained the various processes of batik printing to us in detail. We also received certificates of completion once we ended the workshop 😂 would definitely recommend to those who enjoys the process of art making! Driver is punctual and nice. The class is very enjoyable while you can do the painting in a room just like a gallery. We also have honor to meet the artist who created those paintings hang on walls. Driver is punctual and nice. The class is very enjoyable while you can do the painting in a room just like a gallery. We also have honor to meet the artist who created those paintings hang on walls. Driver pick up service from hotel and send us to the Batik house. Just little comment that the staff should explain more on the process of The Making. Driver pick up service from hotel and send us to the Batik house. Just little comment that the staff should explain more on the process of The Making. Interesting class, straight forward and easy to follow, however, the wax control - depends on you. Interesting class, straight forward and easy to follow, however, the wax control - depends on you. Good and enjoyable experience was received throughout the class. However, the pickup transport was smelly and needs to improve. Good and enjoyable experience was received throughout the class. However, the pickup transport was smelly and needs to improve.